Quick overview Why do we need sleep? What happens when we don't get enough? 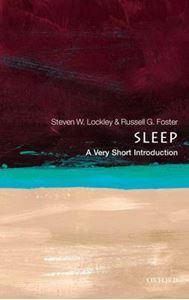 From the biology and psychology of sleep and the history of sleep in science, art, and literature; to the impact of a 24/7 society and the role of society in causing sleep disruption, this Very Short Introduction answers everything you've ever wanted to know about sleep.